A designer needs to aim to reduce the amount of energy and water utilised during the manufacturing process. This should be done without making it costly or compromising the performance of the end product. Such a move can only be effective by changing the production process or the materials used. A good example of a company that has a solution to packaging is Coca-Cola. It has designed a bottle made using renewable bio materials in a bid to replace their conventional PET (polythene terephthalate) packaging. 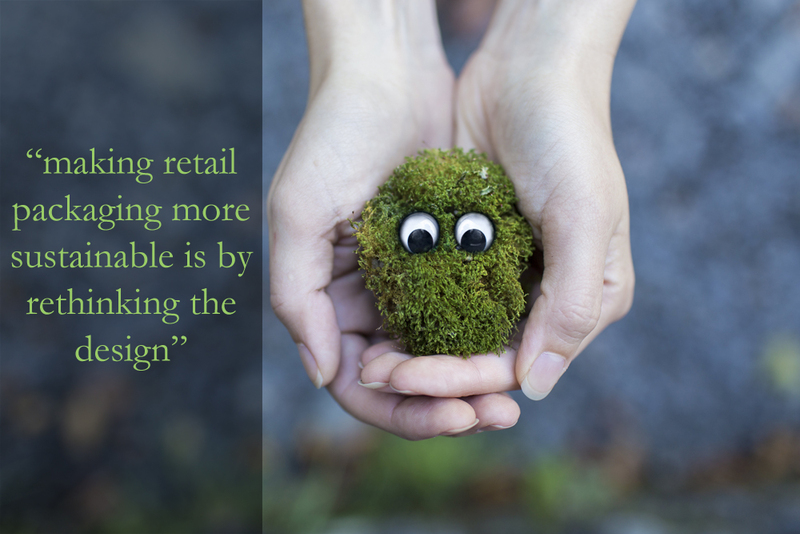 Source reduction goes hand in hand with sustainability. It means reducing the amount of materials used in the production process by making use of optimal combination of tertiary, secondary and/or primary materials. If possible, the total amount of packaging used with a product should be reduced. One of the major roles of packaging is to ensure goods are protected from spoilage and damage. The World Packaging Organisation says that not using packaging would result with more waste from damaged goods than any items which could be saved through avoiding the use of packaging. The goal, according to the organisation, should be the ‘right strength’ and ‘right size’ packaging than none at all. The industry’s footprint can be reduced by the greater the volume of recycled materials that can be designed into the manufacture of packaging. Recycled, materials produce less greenhouse emissions because they use less energy than virgin materials. Designers should strive to maximise the use of renewable sources’ materials such as bio polymers, card and paper in the manufacture of retail packaging products. Dell, the computer giant, have been determining the viability of packaging materials based on mushroom, wheat straw and bamboo derived material. Reducing energy use, a major contribution toward getting a more sustainable industry and saving precious natural resources can only be done by finding ways to use renewable materials. A risk to eco systems and humans is posed by packaging containing potentially hazardous and toxic materials. The design process should have the capability of identifying such materials and removing them from the manufacturing process where possible. Appropriate control systems have to be put into place where removable of such materials is not possible. However, in the majority of cases, the cost related to designing such materials and replacing the same with others cannot be compared against possible savings from avoiding hazardous or toxic costs for disposals further down the line. Companies who have a commitment to environmental sustainability and a documented environment management system should be used as sources for purchasing packaging materials. Certification schemes make the task easier for businesses looking for the right supplier. A significant reduction in energy consumption can be made using a more efficient transport for distribution. Packaging needs to be designed using methods which uses bulk packaging where applicable, maximises the use of space and reduces weight. The procedure of ensuring a container for shipping is filled to the most efficient potential is known as ‘cubing out’. Packaging that can be of great assistance with the cubing out process is one which has been designed carefully with thought to how it is packed as a single item as well as in bulk. An alternative approach to the issue is reducing energy use and transport costs. This is why major retailers are now under pressure from consumers and producers to source more of their lines locally. In cases where it is appropriate, packaging designed to be reused can make significant saving’s in raw material and energy usage. However, complete reuse of a packaging product is extremely rare in today’s market. Once a staple of UK milk retailing, the reusable milk bottle, now forms only a small portion of British milk sales. Therefore, recovery for recycling provides much more promising chances for sustainable packaging designers. Companies using recyclable materials when they are designing their packaging and offer consumers with appropriate recycling information are leaders in making a positive contribution towards the maximisation of recycling and recovery rates. Yet, a number of the most common packaging items like potato crisps bags, toothpaste tubes and take-away pizza, cannot be recycled. People in the packaging industry know that packaging from layers of varying materials is almost impossible to recycle. Additionally, a recyclable product like packaging pizza box is difficult to reuse once it has been used. A number of requirements should be taken into account when designing packaging to meet consumer accessibility expectations.Consumers demand packaging forms that are easy to open, safe and provide clear information and labelling. Furthermore, they expect to be offered this without the cost of packaging having a substantial impact to the cost of the product. A design with this kind of accessibility is very consumer and environmental friendly.